This Exquisite Contemporary 3 bedroom, 3 bath residence overlooks the White Sugar-Sand Beaches of North Redington Beach. The owners spared no expense completely renovating this direct gulf front condo to create one of a kind home showcasing custom craftsmanship, impeccable tile work and the latest in home technology. The chic and open floor plan is accented with floor to ceiling windows to maximize the spectacular views of the Gulf of Mexico. The ultra modern white on white kitchen is equipped with brand new Wolf, Subzero, and Miele stainless appliances. The built in Coffee System, Induction Cooktop, Combo Steam & Wall Oven, will inspire any chef in the house! Plenty of counter space with the sleek center island and additional storage with custom wood cabinetry and dual temperature wine cooler. The inviting great room extends through the private balcony for dining al fresco and sunset vistas. The generous sized ownerâs suite has a sitting area, two walk-in closets and an extraordinary bathroom. The split bedroom floor plan offers unparalleled space and privacy with a second junior suite for your guests to enjoy. Some of the unique features include, under building reserved parking, private storage and hurricane shutters. 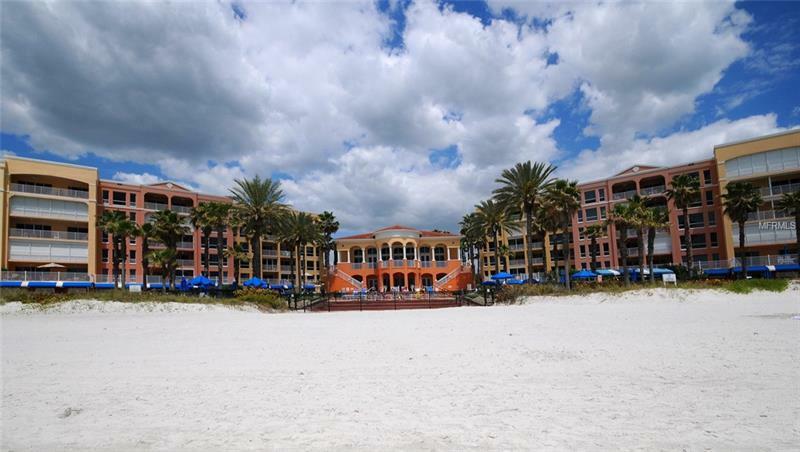 The Tides Beach Club is a gated, Gulf Front Community, with Waterfront Clubhouse, Fitness Center and 3 Private Heated Pools with on site Management, Security and Pet Friendly. Premium poolside cabana is available for sale as a separate purchase.